Manchester City are now deadly serious about young players and integrating them into the first-team picture. A handful of players have travelled with the squad on many occasions – with the likes of Patrick Roberts and Manu Garcia clearly making an impression on Manuel Pellegrini. But there has been one youngster who is now a permanent member of the squad and has shone whenever he has been called upon this season. Kelechi Iheanacho has notched up three goals for the Blues this season and yet has only made nine appearances this season – with just two starts. However, Pellegrini has trusted the young Nigerian and his faith has been rewarded with a host of promising displays. Crystal Palace have felt the wrath of Kelechi on more than one occasion. Earlier in the season at Selhurst Park, the 19-year old entered the fray in a late cameo and bagged a dramatic last minute winner. It was a goal all about instinct – something Iheanacho has in abundance. He wasn’t finished there though and tormented the Eagles even further when he was handed his first start for the club. The youngster displayed incredible maturity and looked perfectly at home – creating two goals and scoring one himself in an accomplished performance. This was perhaps the game that made City fans take notice and acknowledge that they have a real talent in their ranks. With Sergio Aguero sidelined, Kelechi lined up alongside Wilfried Bony for his first Premier League start in the next game and impressed again in his 54-minute cameo. In fairness, though, it was a tough game for him to thrust into – against a dogged Norwich side. For a number of reasons, Iheanacho hasn’t seen as much game-time as he would have liked since then but that made it all the sweeter when he continued his love affair with the Capital One Cup on Tuesday against Hull. Introduced into the game at around the 70-minute mark, with the score at 1-0, Kelechi stepped up to the mark to score a well-taken goal to increase the advantage. Raheem Sterling whipped in a teasing cross, but it was the anticipation and intelligence from the striker that brought about the goal – stabbing home at the near post. He is now becoming a hit with the fans at City, too – combining quality in attack with a real work ethic and burning desire. He is clearly thrilled at being in the side and always looks desperate to be involved and make an impression. He’s not the type of player to play cautiously, though and has demonstrated impressive link-up play with Sterling, Silva, De Bruyne and co. But what is clear though is that he needs more opportunities. It’s been encouraging to see him at least mix it up with the first-teamers and he has undoubtedly proven he belongs here. However, he has both Bony and Aguero ahead of him in the pecking order and something needs to change. In fairness, Bony is a decent back-up for Aguero but I get the feeling that it will not be long before Kelechi is the go-to man if Aguero isn’t fit. It was puzzling to see him overlooked in the 0-0 draw against Aston Villa on November 8 when Bony was forced off with an injury. 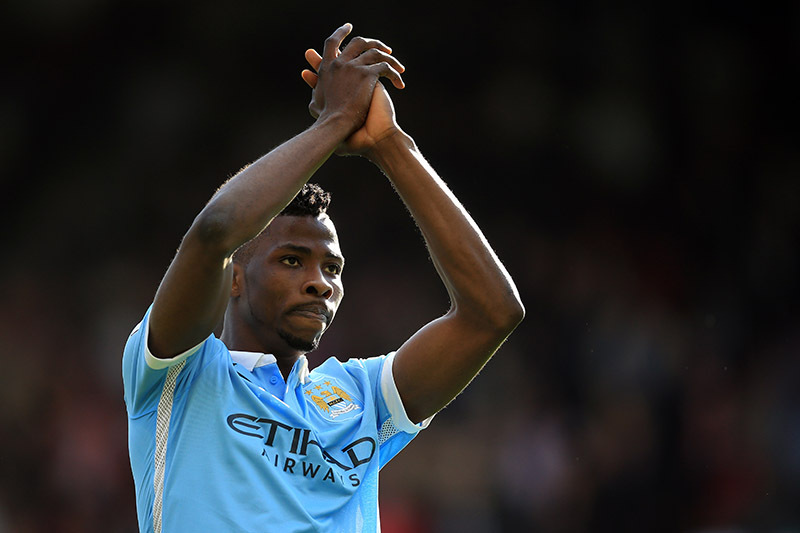 Pellegrini, however, defended his decision and indicated that he sees Kelechi as more of a ‘number 10’ type player. I can see that, as he does often drop deep but has a striker’s instinct to go along with his other qualities. In many aspects, he’s fairly similar to a former City starlet, Daniel Sturridge, but his attitude is far better than the Liverpool man’s when he was coming up the ranks. No City fan is expecting the club to rush into things with the young players at the club. But in Kelechi’s case, they might well need to because this is a player ready for the demands of first-team football. Pellegrini should be praised for the way he has eased him in but with Bony and Aguero having their fair share of injury troubles, it’s time to give Iheanacho the nod of approval – and doing that for the lunchtime clash with Stoke would be quite the statement.